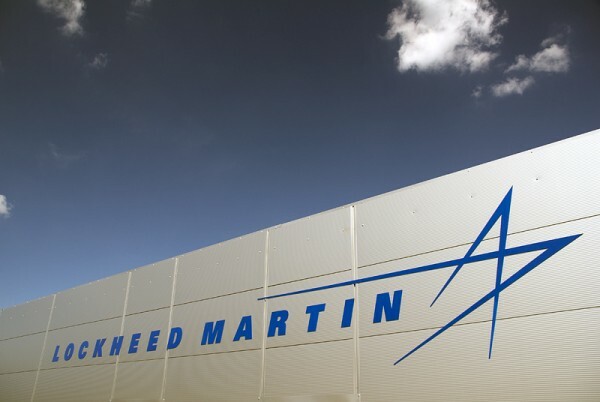 by Justin Elliott ProPublica, April 24, 2013, 12:07 p.m.
Last year, we told you about how former Lockheed Martin executive Ann Sauer had been hired to be the top Republican staffer on the Senate Armed Services Committee. Sauer got $1.6 million from Lockheed, including a buyout, before being hired by Sen. John McCain to come back to Capitol Hill, where she had previously worked as a staffer. Watchdogs cried foul. With McCain stepping down as ranking member of the committee, Sauer left the job on the Armed Services Committee earlier this year and now works as a federal budget expert for hire. Her replacement? Another former Hill staffer who went to work with large military contractors 2014 including Lockheed. John Bonsell, the new staff director for the Republicans on the committee, spent five years as a lobbyist for military contractors such as Boeing, GE Aviation, BAE Systems, and SAIC. He made $276,400 in 2011, his final year as a lobbyist, a disclosure form shows. Bonsell did not respond to our requests for comment. Bonsell takes the Armed Services Committee job at an especially fraught time for military contractors: the industry has been fighting 2014 so far unsuccessfully 2014 budget cuts that kicked in under sequestration last month. Before working as a lobbyist, Bonsell had a two-decade career in the Army including a stint as chief of concepts and doctrine on the Army staff at the Pentagon. After that, he became a legislative assistant to Sen. James Inhofe, R-Okla., in 2001. In 2007, he joined Robison International, a lobby shop focusing on military issues that is led by a former deputy assistant secretary of defense for legislative affairs named Randall West. After five years as a lobbyist, Bonsell rejoined Inhofe’s staff in 2012 as legislative director. Earlier this year, when Inhofe took over from McCain as ranking member on the Armed Services Committee, he hired Bonsell to be staff director. Asked if Bonsell’s previous role as a lobbyist for industry players presents any conflict, Inhofe spokeswoman Donelle Harder said the senator views that work as a plus. “Due to his 20 plus years of service in the U.S. Army and his post-retirement career, Sen. Inhofe finds John Bonsell uniquely qualified to understand the perspective of both the government and the private sector as the committee works to address unprecedented challenges with the future of our national defense,” she wrote in an email. Inhofe has said that his top priority is to avoid military budget cuts. 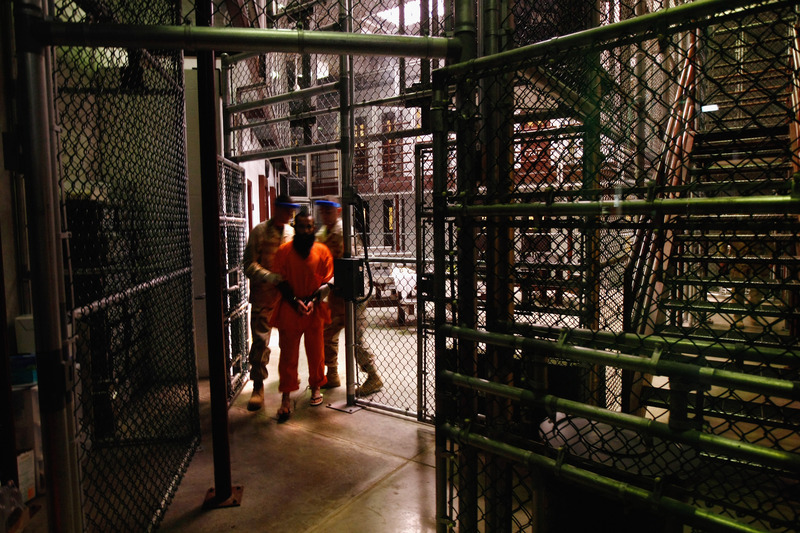 by Cora Currier ProPublica, April 18, 2013, 9:45 a.m.
It’s been 11 years since the first detainees were brought to Guantanamo Bay. But the future of the prison, and the fate of the men inside it, is far from certain. With 59 detainees at Gitmo currently on hunger strike, by the military’s count, here’s a primer on what’s going at the island prison. Yes, most recently last weekend. In an early-morning raid on Saturday, soldiers in riot gear moved about 60 of the detainees from their communal living camp into individual cells. Guards fired four “less-than-lethal” rounds; they say some prisoners wielded makeshift weapons, constructed from broken broomsticks and plastic water bottles filled with rocks. In a statement earlier this week, the military said the detainees were being placed on lockdown to allow for “round-the-clock monitoring.” In recent years, the communal living arrangement had been redone to “feel more like a dorm.” Now, the Miami Herald reports, those men are confined to their cells, without TV, legal documents, and the other things they were previously allowed. At least one detainee has alleged that the hunger strikers are being punished, by being forced to drink potentially unsafe tap water and cold temperatures in their cells. The military disputes that, saying the tap water is safe and bottled water is available. On Monday, a federal judge ruled he did not have jurisdiction to weigh in on the prisoner’s treatment. As of Wednesday, 15 detainees are being force-fed nutritional supplements through tubes inserted into their noses. The military says strikers “present” themselves for the procedure, though it also says passing out counts as consent. No one has been brought to Gitmo under President Obama. The last people to leave were two Uighur Muslims from China, who were resettled in El Salvador last spring. Adnan Latif, a Yemeni, died in an apparent suicide in September. He was the ninth detainee to die. 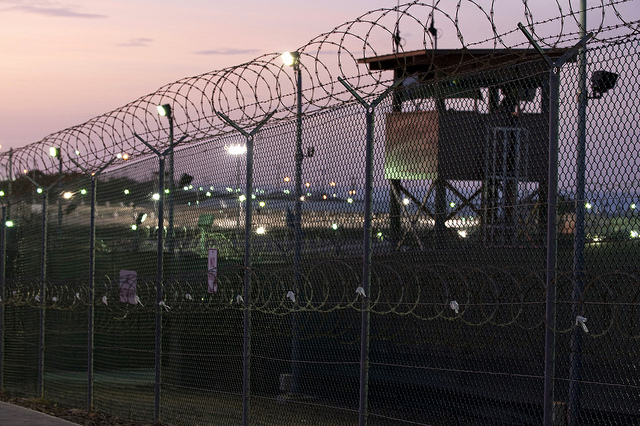 This January, the State Department shut down the office responsible for detainee resettlement. Even if transfer restrictions were loosened, it’s not clear what would happen to the prisoners who are being held indefinitely. A new periodic review process for the detainees was created in 2011, though it still hasn’t actually begun. Military commissions started up again, with some changes — though still plenty of controversy, including questions about government censorship and surveillance. The Pentagon has proposed a $150 million overhaul of the facility this year. by Cora Currier ProPublica, April 11, 2013, 11:12 a.m. 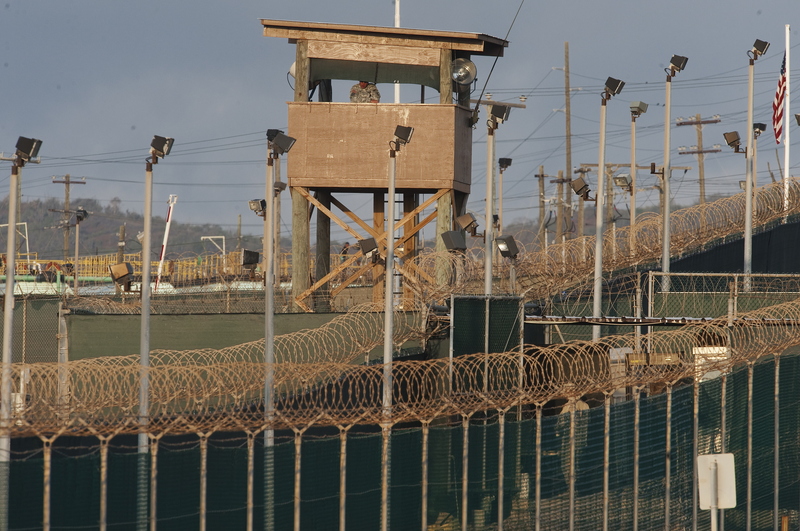 The long-troubled military trials at Guantanamo Bay were hit by revelations earlier this year that a secret censor had the ability to cut off courtroom proceedings, and that there were listening devices disguised as smoke detectors in attorney-client meeting rooms. Now, another potential instance of compromised confidentiality at the military commissions has emerged: Defense attorneys say somebody has accessed their email and servers. “Defense emails have ended up being provided to the prosecution, material has disappeared off the defense server, and sometimes reappeared, in different formats, or with different names,” said Rick Kammen, a lawyer for Abd Al Rahim Al Nashiri, who is accused of plotting the 2000 attack on the U.S.S. Cole. 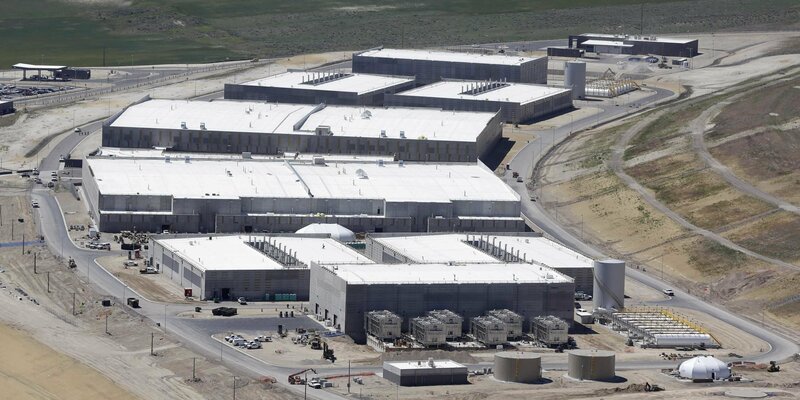 The lawyers say they don’t know exactly who is accessing their communications. And it’s not yet clear whether the emails were intentionally grabbed or were scooped up mistakenly due to technical or procedural errors. Either way, the lawyers are concerned. In response to the apparent breaches, the military’s chief defense counsel ordered defense lawyers to stop using email for privileged or confidential communications. “This follows on the heels of the seizure of over 500,000 e-mail containing attorney-client privileged communications as well as the loss of significant amount of defense work-product contained in shared folders,” Commander Walter Ruiz, one of the military defense counsels, said in an email. The search of thousands of emails was revealed by the prosecution, attorneys say. “The searches on their face looked to be fairly benign,” Kammen said. The defense emails turned up when prosecutors requested a search of prosecutors’ own emails. “The people who were doing the searches ended up providing all manner of defense material as well.” It’s not clear what department, agency, or office did the search. It is not possible to corroborate the attorneys’ accounts because the full documents are undergoing security review, and are not yet public. The Pentagon declined to comment, citing the ongoing trial. In recent months, defense lawyers also realized that files were missing from their shared and personal servers. There is no evidence that the missing files are connected to the email searches. “The main thing is that the integrity of the system as the whole is in very serious question,” said Commander Ruiz. The order to stop using servers and emails, “essentially cripples our ability to operate,” he said. These new concerns are the latest example of irregularities of military commissions overshadowing the actual facts of the cases brought before them. Pretrial hearings have been consumed by issues such as whether defendants can wear camouflage to court (they can), when mail can be read, and what exactly lawyers can discuss with or send their clients. The prosecution has also tried to prohibit “informational contraband,” including any material on “current political or military events in any country; historical perspectives or discussions on jihadist activities.” Copies of the 9/11 Commission Report and the memoirs of an FBI agent have been taken from defendants’ cells. In cases before the commissions, defendants’ interactions with their attorneys are subject to strict controls. Orders aimed at protecting classified information govern most proceedings and lawyers have limited access to their clients. Defense lawyers previously had to get a security officer’s approval to use even mundane information from defendants. That requirement was loosened a bit, but details of the defendants’ time in CIA custody 2013 including their own accounts of being tortured 2013 are automatically classified. There have been seven convictions under the military commissions. Another seven detainees are currently facing charges, and 24 others may yet be prosecuted. The government has deemed 46 detainees simply too dangerous to release but doesn’t plan to try them. The Obama administration initially sought to try Khalid Sheikh Mohammed and the four other alleged 9/11 plotters in federal court in Manhattan, but reversed its position after heated opposition from Congress and New York City officials. Though President Obama has thus far failed to fulfill his pledge to close Guantanamo, no one has been brought to the prison under the Obama administration. In recent months, a string of terror suspects have been extradited from foreign countries to face charges in U.S. courts.